This section provides an overview of what webstorm is, and why a developer might want to use it. It should also mention any large subjects within webstorm, and link out to the related topics. Since the Documentation for webstorm is new, you may need to create initial versions of those related topics. 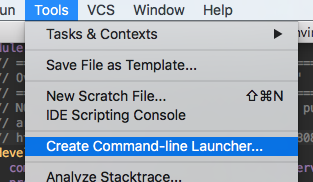 After selecting the option, you will be presented with the "Create Launcher Script" prompt for a location and name of the command-line launcher. This location should be within $PATH so that it can be invoked in the command prompt / terminal. The default value is /usr/local/bin/webstorm where /usr/local/bin is the path the launcher will be added and webstorm is the name of the file. The name of the file will also be used as the command to invoke and launch WebStorm, it can change it, but for this example we will assume it is the default value of "webstorm"
After this is done, you can open a terminal or command prompt and user the "webstorm" command to launch WebStorm with a specific directory. In the example below, WebStorm will be opened with the directory ~/Workspace/my-project at the root of the Project. Tip: Use webstorm . to open the current directory. WebStorm is lightweight yet powerful Integrated Development Environment (IDE) perfectly equipped for complex client-side development and server-side development, it is cross-platform and works on Windows, Mac OS X, and Linux. For previous versions of WebStorm before 2016 it's required to have Java installed on the machine in order to run WebStorm, starting from WebStorm 2016 and above, JRE 1.8 is bundled with distributions for all platforms. You don't need any Java to be installed on your machine in order to run WebStorm. Download WebStorm from the Download page. Follow all steps suggested by the wizard. Pay special attention to the corresponding installation options. Double-click the downloaded WebStorm-*.dmg OS X Disk Image file to mount it. Copy WebStorm to your Applications folder.